Compact design for amazing adventures. The Mavic Air drone was built to go wherever adventure takes you. 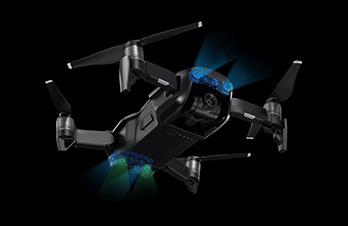 This ultra-portable and foldable drone is packed with amazing engineering to give you unforgettable flying experiences, and incredible imagery. 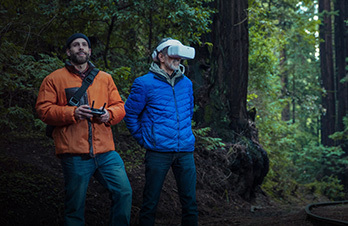 This ultra-portable drone is no bigger than a typical smartphone when folded up. It’s really stretching the boundaries of what's possible for a device this size. 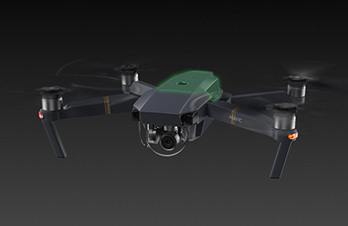 To give you more precise hovering and a better flight performance, the Mavic Air collects and transmits information straight from the surrounding environment to its high-performance processor. 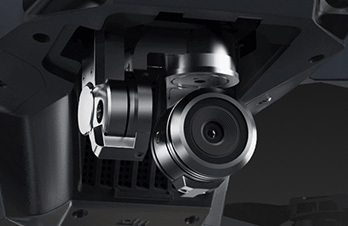 The Mavic Air is the most portable DJI drone to house an ultra-precise 3-axis gimbal. This helps it to create even steadier video footage and still photographs. The ultra-precise 3-axis gimbal on the Mavic Pro helps steady the camera for smooth video and sharp photos, even during high speed flights. 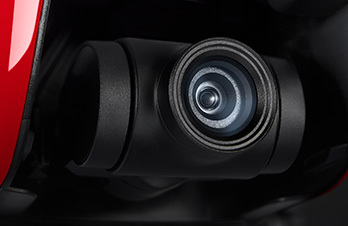 No electronic image stabilisation is used, ensuring that all footage is captured in 4K definition. 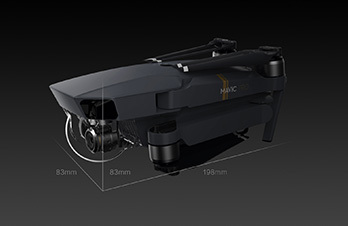 The Mavic Pro can be folded into a compact size, making it extremely portable. 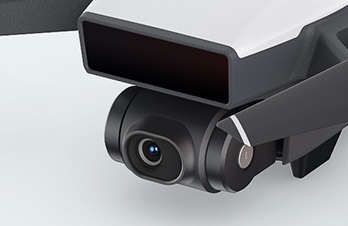 This doesn’t make it less advanced than larger models – in fact, it’s one of the most sophisticated DJI drones ever. 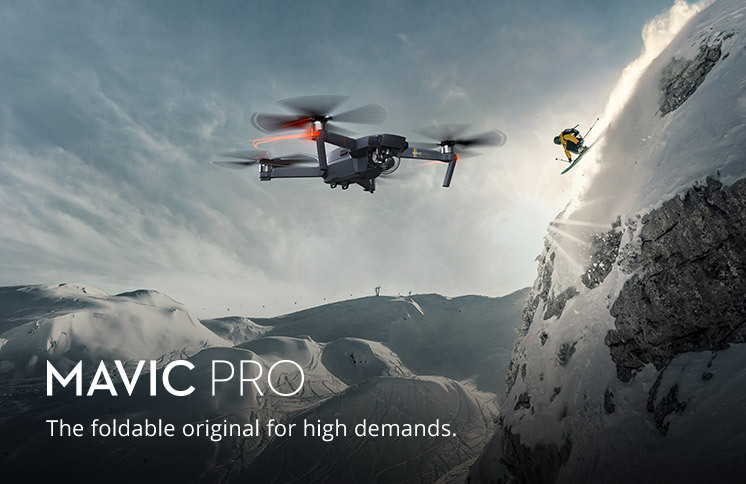 The Mavic Pro flies much longer than you might expect from its compact size. It’s capable of reaching a maximum flight time of 27 minutes and distance of 8 miles, thanks to its powerful and highly efficient motors. 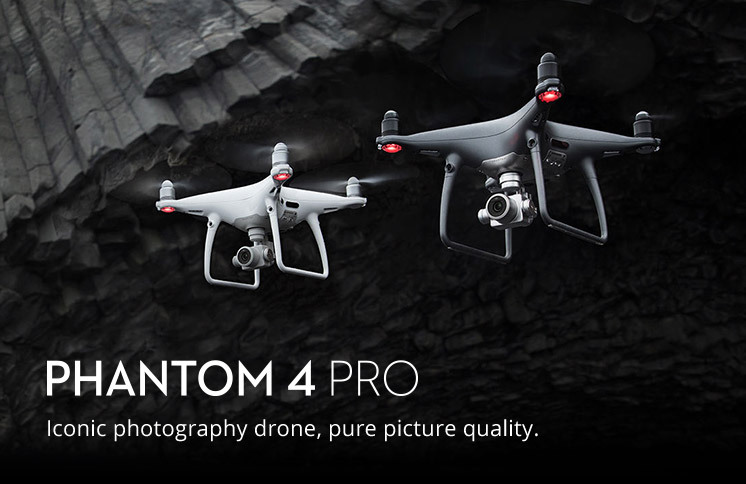 The Phantom 4 Pro’s 12 megapixel camera completely eliminates the distortion that can occur when taking images at high speed, giving you crisp and blur-free footage. On top of that, its powerful video sensors and processors capture everything in the level of detail required for advanced post-production. 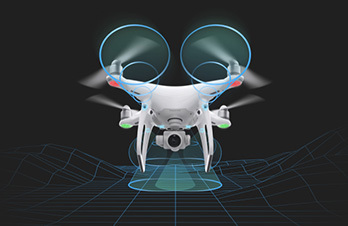 The Phantom 4 Pro features an advanced object sensing system, with 5-direction obstacle sensing and 4-direction obstacle avoidance. 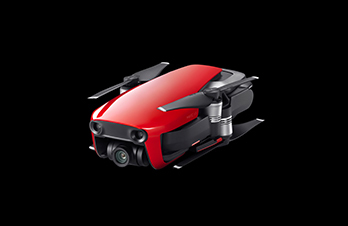 This offers your drone outstanding protection from knocks and bumps, giving you the confidence to capture even more adventurous footage. With a maximum flight time of 30 minutes, you’ve got more time in the air to capture that perfect shot. 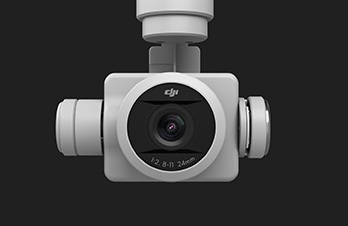 The DJI app can calculate the drone’s remaining flight time, and will alert you when it reaches the maximum distance for a safe journey back to the take-off point. An advanced battery management system is also in place, to prevent overcharging and draining. The Spark’s compact camera punches above its weight, allowing you to shoot stabilised video at Full HD 1080p and detailed stills at 12 MP. Its UltraSmooth technology dramatically reduces shaking, and keeps your shots clear and detailed. 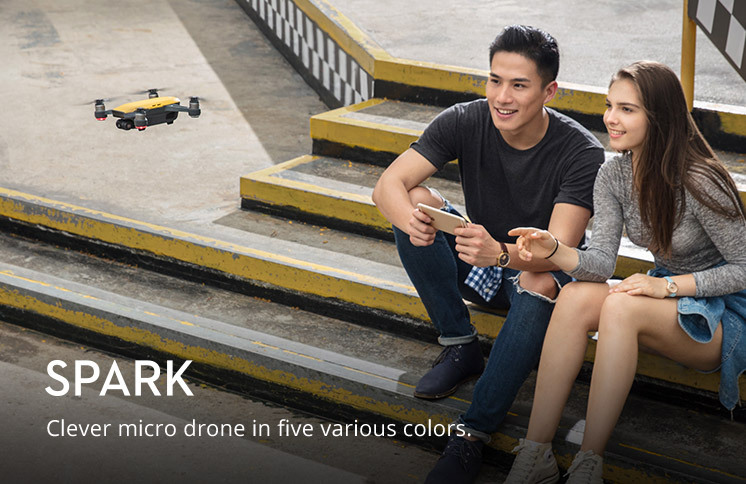 Even with all of Spark's advanced features hard at work, the flight time isn't compromised. 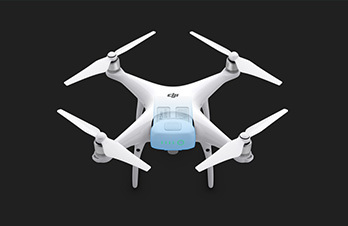 It can fly for up to 16 minutes with a fully charged battery, giving you plenty of time to capture memorable footage. The Spark’s Gesture mode gives you the power to take selfies with a simple hand motion. 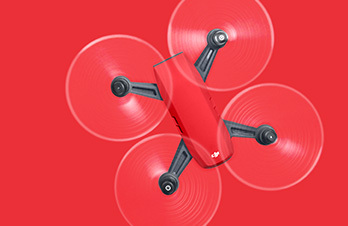 PalmControl mode lets you control the drone’s movements by hand, and Quickshot mode lets your drone take professional shots and cinematic footage for you, all by itself. 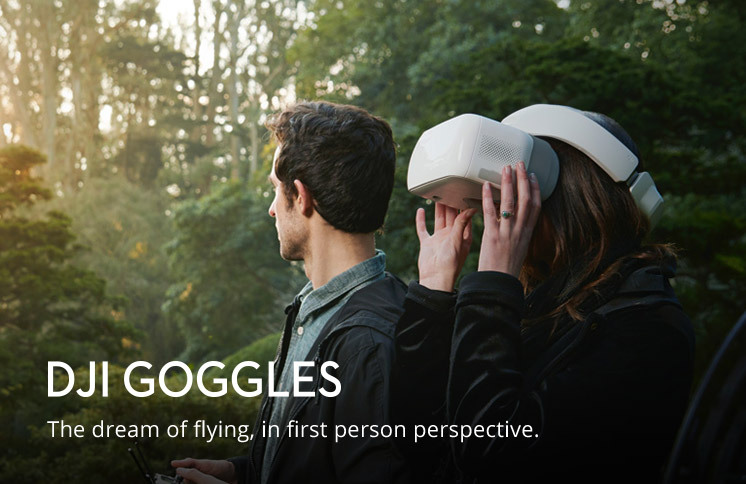 DJI goggles give you a crystal clear view of your drone flight in stunning high resolution. The two Full HD screens have more than twice the amount of pixels as a typical 2K single screen, so you’ll be able to enjoy every moment of your flight in incredible detail. 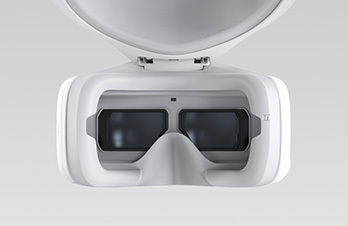 DJI goggles have an inbuilt head-tracking feature, giving you the option of going hands-free and controlling your DJI drone with your head instead. You simply move your head in the direction you want your drone to fly, and straighten your head to stop it turning. 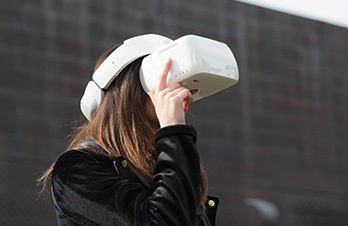 DJI’s wireless transmission system transmits data from the drone to your DJI goggles with an extremely low latency, so you can view everything in near-real time. 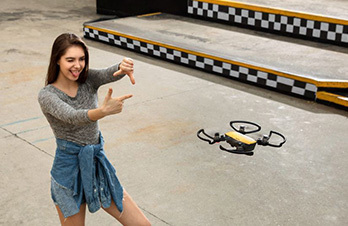 You can also connect up to four devices to the Mavic Pro drone simultaneously – so for example, you could add an additional remote and share the same first person viewing experience with a friend.